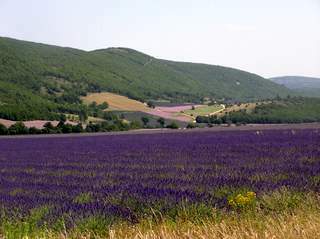 Friday, the 29th of June, was our last day of school and we marked it by going on a much anticipated field trip to the Lavender growing region past Aix-en-Provence, up in the mountains behind a beautiful town called Mane. We left the school quite early in the morning and after driving for 2 hours on the A-8, we shifted direction and headed into the hills. Our first stop was a small rather unassuming little farm that is actually a research centre specializing in lavender, clary sage and the various plants that make up the ‘Herbes de Provence’ official formula. 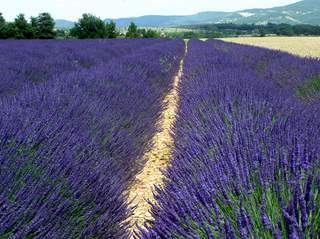 Here about 100 varieties of lavender and lavandin (the natural hybrid of the high altitude true lavender and ‘spike’ lavender) respectively are propogated/bred, grown, distilled and studied. We toured the fields and then the small lab, seeing counter-top stills in the process of extracting the essential oils from samples of thyme to be sure that the essential oil content was of sufficient proportion to qualify for commercial use. Also we were shown the larger equipment used to extract the lavender oil and learned the interesting fact that on average, lavandin will yield 80-100kg of essential oil per hectare and true lavender, only about 30kg. Besides a variant in yield, the chemical makeup of the two oils is quite different also, with the toxic constituent camphor, being much higher in Lavandin. With the summer sun creating a day that was intensely hot and bright as we all piled back in the cars and left the farm, enroute to Mane, http://www.provenceweb.fr/e/alaupro/mane/mane.htm ,where we were invited to lunch with the director of our school and the rest of an organization who’s main purpose is education and the promotion and marketing of the perfumery raw materials that are produced in the region. We arrived at the site, a beautiful and large old monastery, made of stone that provided a cool refuge from the summer sun, where we were treated to a buffet of whole grain salads, meats and other regional goodies. Fantastic. Then, refueled, we headed out once more ascending gently in search of the fields of lavender. I’ve seen many postcards since arriving in this part of the world showing the classic shots of Provencal lavender, but nothing could have prepared me for the absolute beauty of the first field we saw. So much gorgeous purple! The rich hue of the lavenders in such large swaths of colour surrounded by a landscape that is quite arid and rocky with rolling hills covered in knarled pines is spectacular and something to behold. The honey bees were everywhere, their little back legs heavy with bright orange balls of pollen, (lavender honey is produced also) and the air was clear and clean, whipped by the wind that seems quite constant in the mountains here. Seeing the lavender in its native realm like this completed my understanding of the oil in such a profound way. 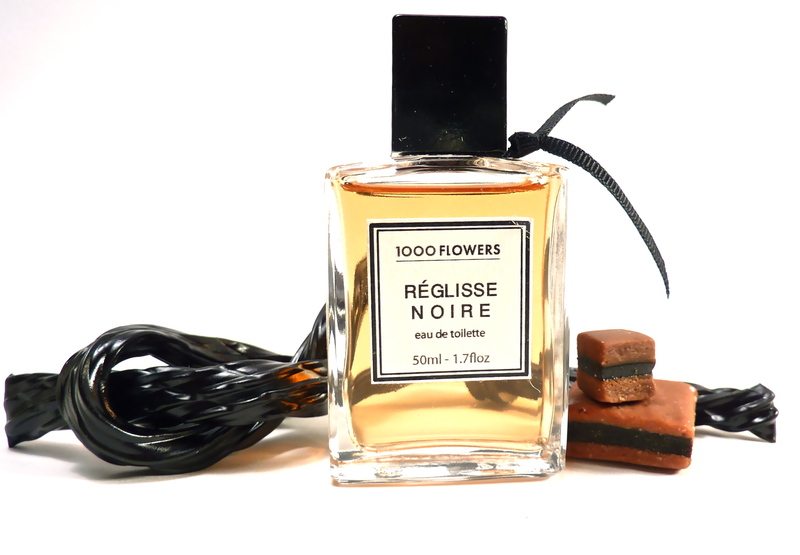 It’s clear fresh aromatic astringent and oily sweetness, with that green vanilla powdery warmth has been formed where it grows; basking in the intensity of the Mediterranean sun under the bluest skies I have ever seen. The winds come from the highest Alps bringing such charged alive air and the soil is ancient! Full of just the right nutrients to give the plants what they need so they can explode into full round masses of purple. 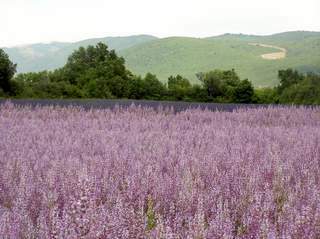 As if this wasn’t enough, we were to discover lush pink fields of clary sage, also in full sticky fragrant bloom. 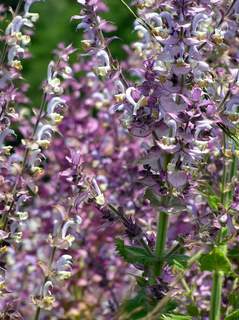 I even saw one particularly colourful field of purple lavender interspersed with the pink exclamation pints of clary sage. Otherwise, there were blocks of purple with pink beside or behind and I must say, the countryside looked particularly feminine! –Clary sage concrete contains a natural constituent called Sclareol that is used as a starting point for the creation of ambergris chemicals such as Ambroxan and other synthesized amber notes. -The concrete is also a great raw material in itself, for a dry musky ambergris note. Also as a fixative. -Lavender absolute is a wonderful substance and can be combined in an accord with the essential oil to yield a more true to life scent of the flower itself. 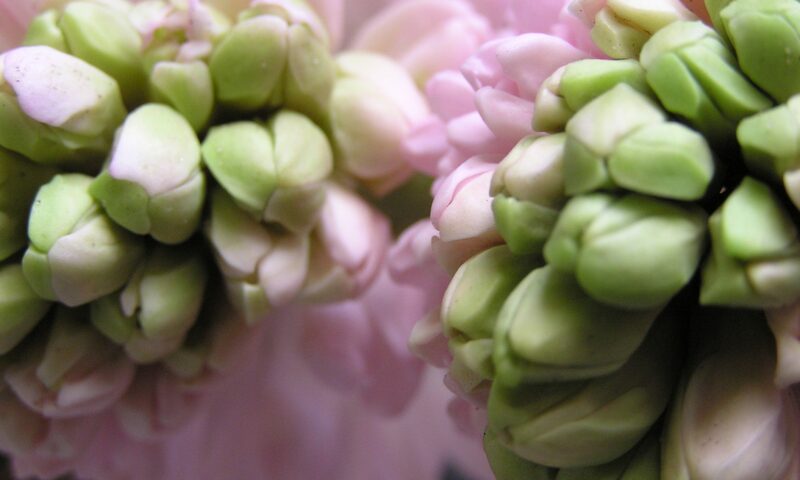 –Sclareol in clary, like coumarine in lavender, is contained in the concrete or absolute and not the essential oil as it is too large a molecule to be extracted by distillation.